With warm weather finally upon us, I have all my bronzed, dewy, glow-y makeup lined up and ready to be put to use. 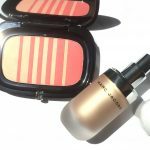 One such makeup product that is front and center in my daily makeup routine is the Marc Jacobs Air Blush Soft Glow Duo. 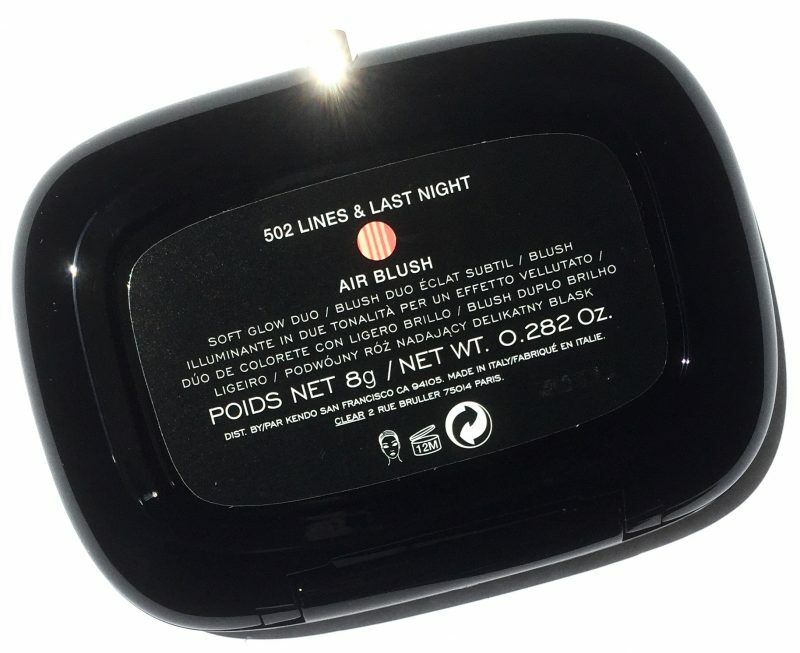 Before I continue talking abut the Air Blush, I must add that I generally tend to avoid blush. Mainly because I have the tendency to heavy-handedly apply it; similar to a toddler that got into their mom’s makeup. However, if my makeup look calls for it, then blushes with shimmer pigments are my go to because they give me some room for error lol. Now keep reading to see why this legendary formula is different. 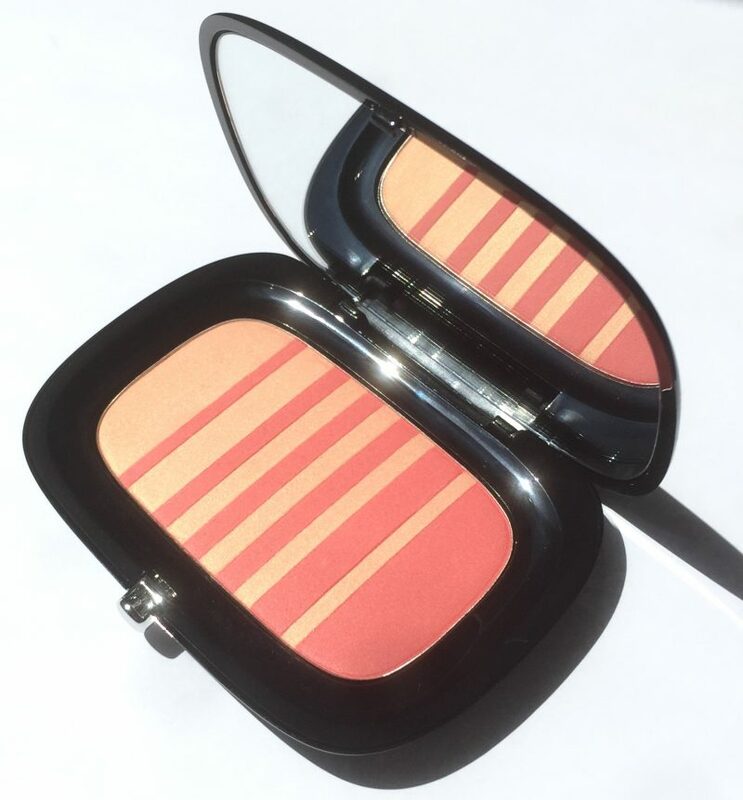 The Air Blush is currently available in five shades. Suitable for light to deep complexions, all wanting to achieve one thing in common; a flush of colour with a luminous touch. 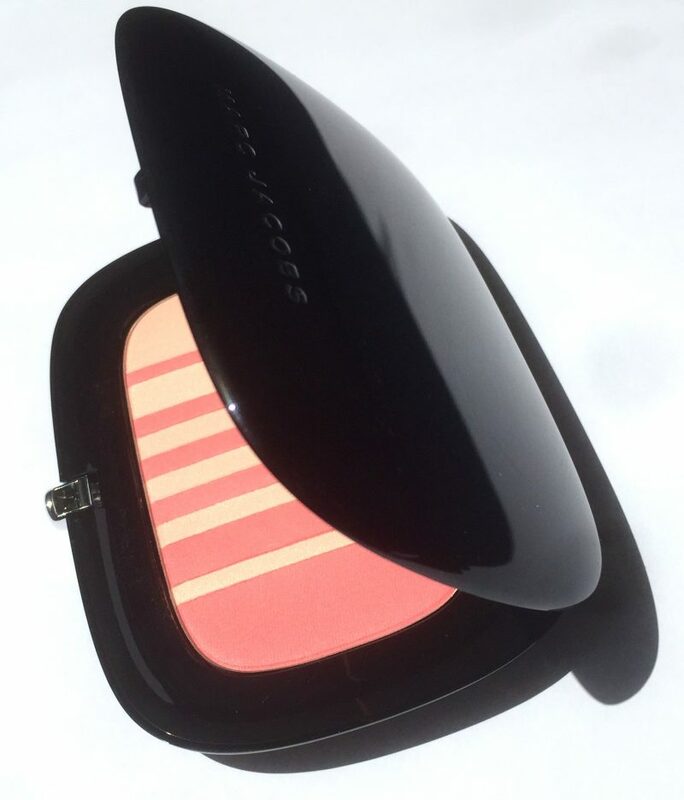 The Marc Jacobs Beauty Air Blush combines two complimenting shades in each compact. 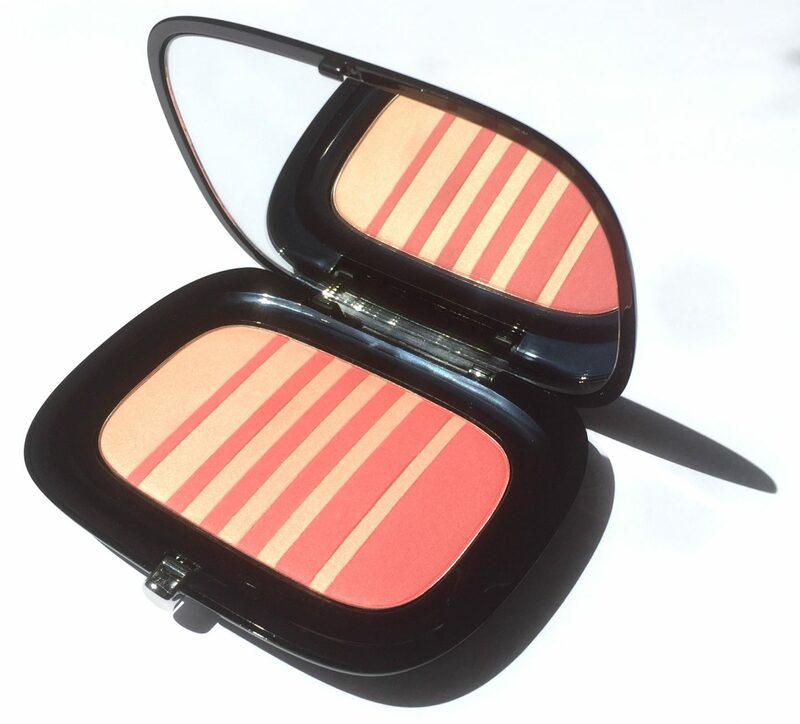 A satin blush tone and a lighter, iridescent shade. Swirled together to create an absolutely stunning glow. A side note; great emphasis will be placed on the word stunning because it TRULY is! 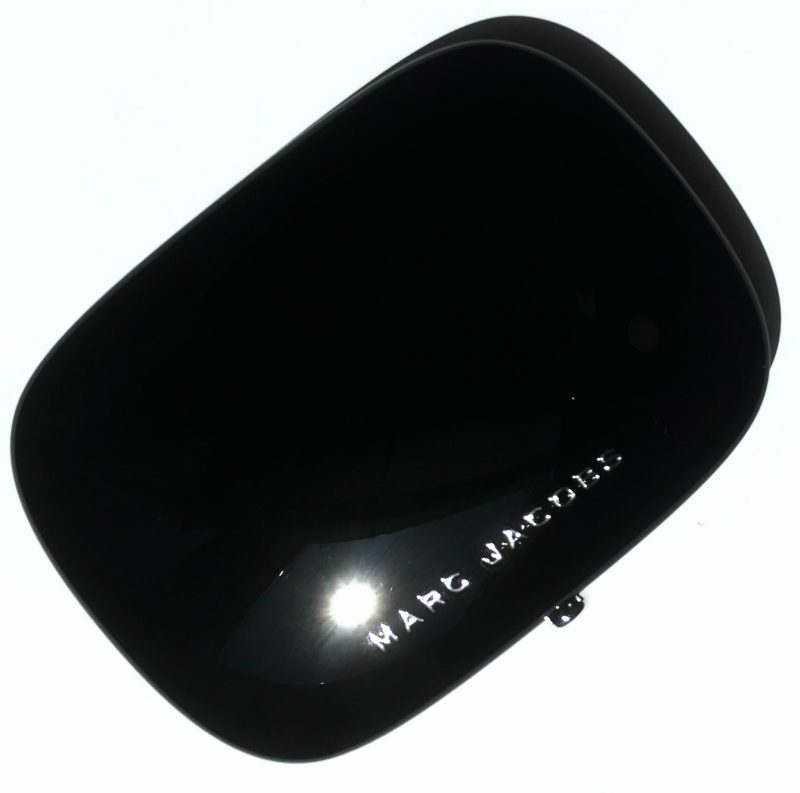 Encased in Marc Jacobs signature sleek black packaging, this is a very generous product. It’s sized practically end to end with a large mirror. You won’t find any wasted spaces here, with impractical brushes or sponges. 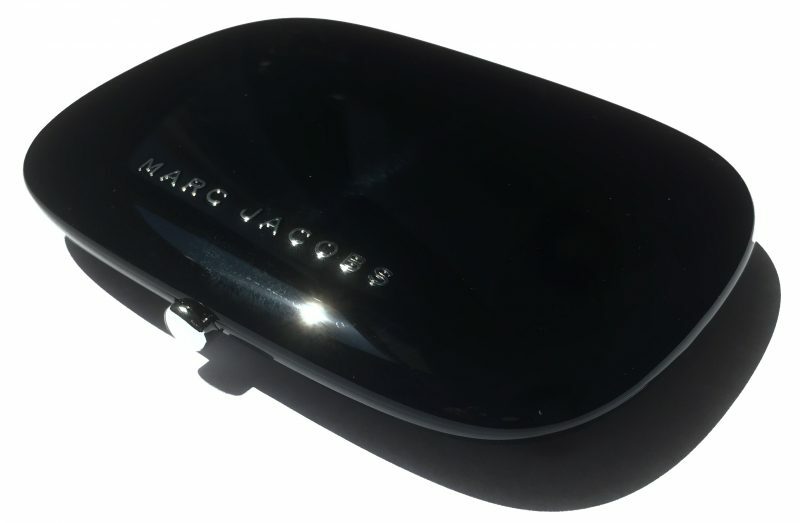 Marc Jacob’s Air Blush’s official description states that it is created using a process called soufflage, implying that it is whipped. Undoubtedly so, the formula is silky smooth to the touch. It feels incredibly lightweight and sets to a satin finish. The cream like consistency makes blending a breeze and allows you to build up the intensity to your liking, without it looking like the product has been piled on. 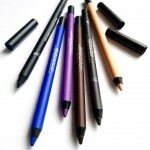 I swirl the shades together and am able to get the perfect touch of colour without feeling like it’s overpowering. 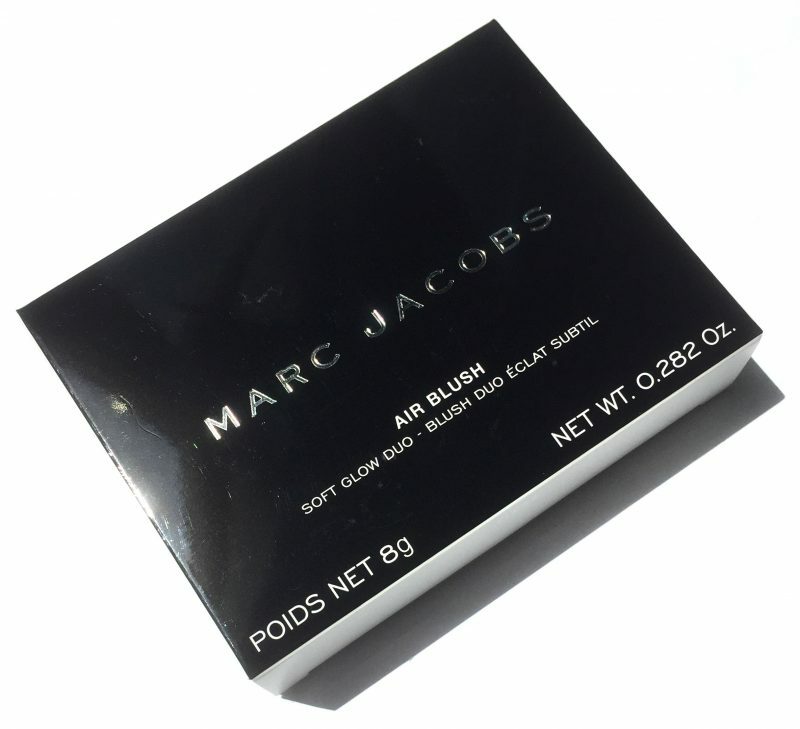 It’s unlike any other powder blush I’ve ever used but rather gives the skin a soft sheen. 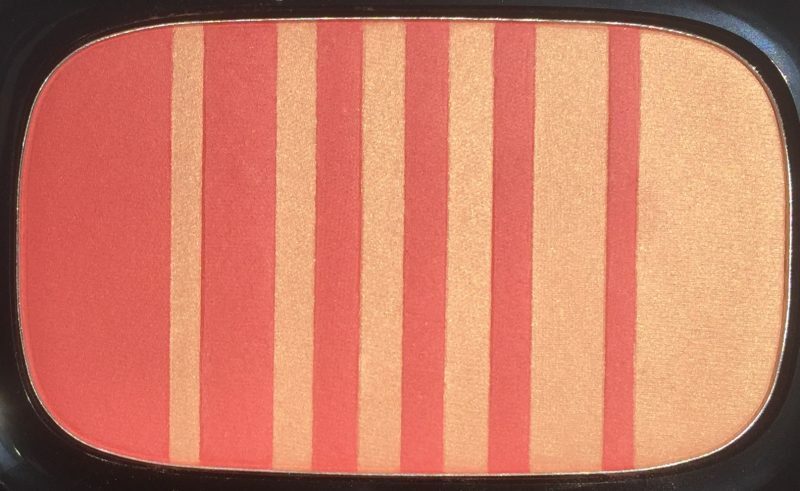 I tried out the shade 502 Lines and Last Night, which is a coral tinted blush paired with a champagne glow. 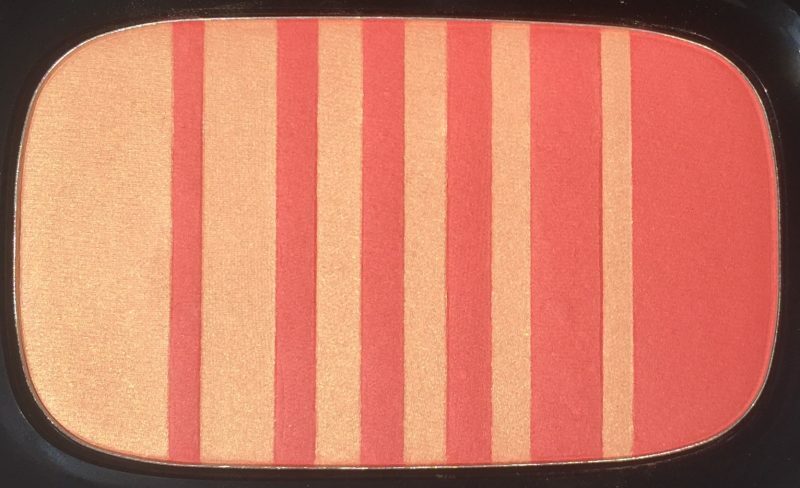 It does slightly warm up on the skin but is pretty much true to colour, as seen in the palette. For application I used various angled brushes and find that they all work equally well. 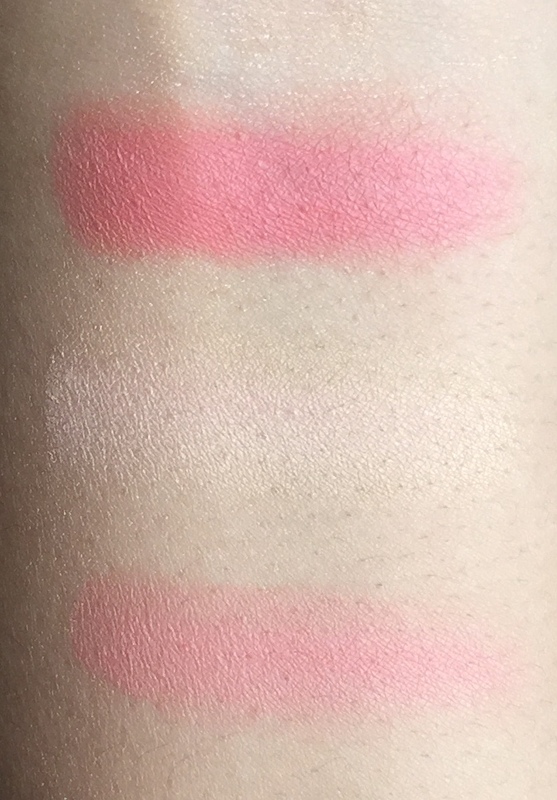 Swatches Top to bottom: Blush Alone, Shimmer,Blended Air Blush is said to provide 24 hours of wear and although I haven’t kept my full face of makeup on that long. I can vouch that after 16 hours of wear, it did not budge even slightly. I will say it’s one of those makeup products that looks even better as time passes. Once the makeup has had time to set. 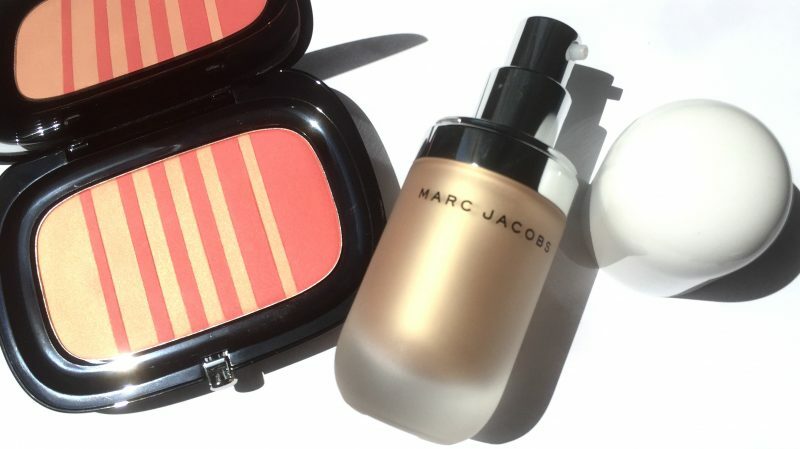 Bottom line is that the Marc Jacobs Air Blush is a must have. A high end product, whose price point is justified given the amount and quality of product provided. 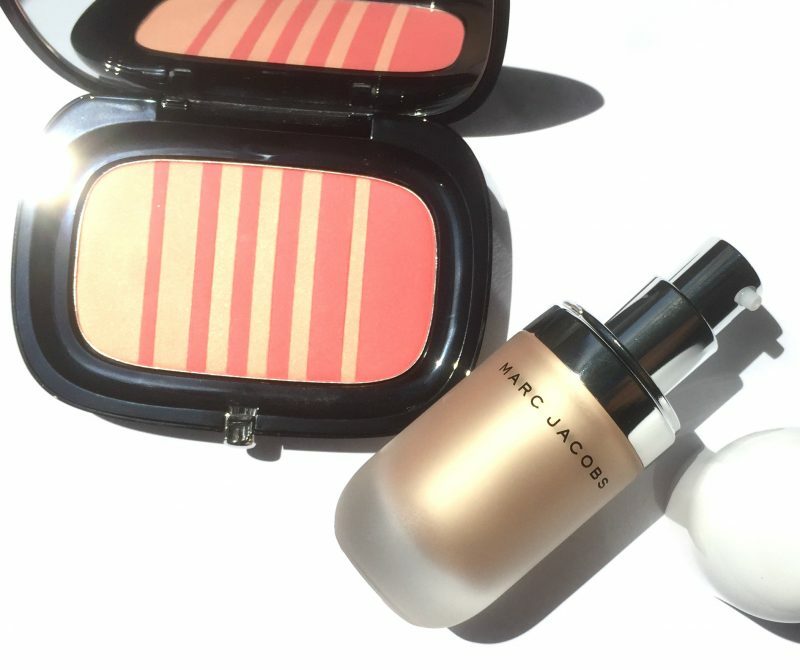 The Marc Jacobs Beauty Air Blush Soft Glow Duos retail for $57 CDN and are available at Marc Jacobs Beauty and Sephora. Sample kindly provided, all opinions are my own.